In Moscow, at the Kremlin’s morning military briefing, drone footage was broadcast of people in Damascus behaving as if nothing had happened. It was business as usual. Vladimir Putin has not fired off a return salvo of his own missiles in revenge. The most active response was a hint from a Kremlin General that Moscow could supply the Syrians with better anti-aircraft missiles to counter future raids. The Russian leader has no interest in stirring up further western bombing attacks. He is more interested in helping his ally Bashar al-Assad finish off the last rebel enclaves. On Friday morning, two giant Russian transport ships loaded with hundreds of army trucks, armoured troop carriers and mine-proof vehicles passed through the Bosphorus waterway heading to the Syrian port of Tartus. 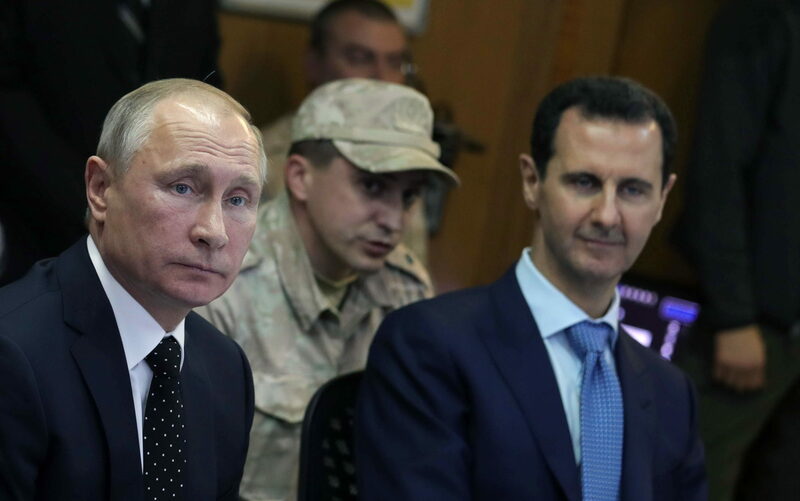 The message from the Russian leader was clear – he was not giving up in backing the Damascus government’s drive for military victory. In the Pentagon, US General Kenneth McKenzie claimed the missile strikes had set Syria’s chemical weapons programme back years. His claim cannot be verified but the strikes avoided hitting any of the Syrian army’s barracks, frontline positions or air bases. Russian military bases were also avoided by US and British missiles. This effectively leaves the bulk of the Syrian and Russia war machine intact. The Syrian war looks set to continue, much as it did before the “fire and fury” unleashed by President Trump, with Assad’s forces rolling relentlessly forward. The whole episode reinforces the impression that President Putin plays chess, while Donald Trump throws toys around his playground.